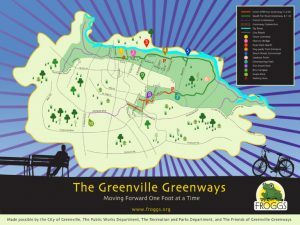 Stroll, bike ride or run along Greenville’s Greenway system beginning at the Town Common located at 105 E 5th St. The Greenways connect you from the center city to the residential area. Bring your pup and stop at the dog park or enjoy the shade of the trees as the trail meanders along the Tar River.